I am so excited to share this new recipe with you in partnership with Renew Life® Digest Smart Enzymes. While this post is sponsored, all thoughts and opinions are my own. I am a food truck lover. Each month, a local venue hosts a major food truck festival and I look forward to going so much. The hardest part is deciding what to try first! 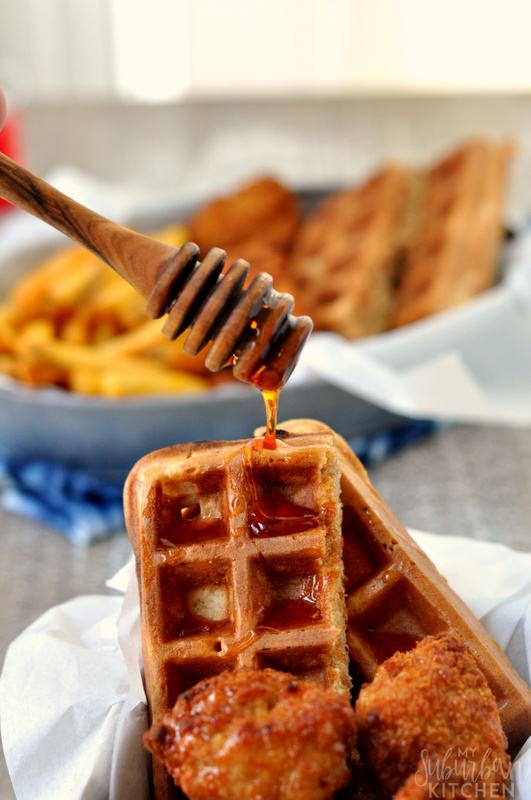 One of my favorites is hot honey chicken and waffles and I always have to get it even if for a little taste. Of course, when you are trying tons of different types of food that include spicy, sweet, and might even include some food triggers (mine is always corn), you want to make sure your delicious food choices aren’t ruined by occasional gas, bloating and indigestion. 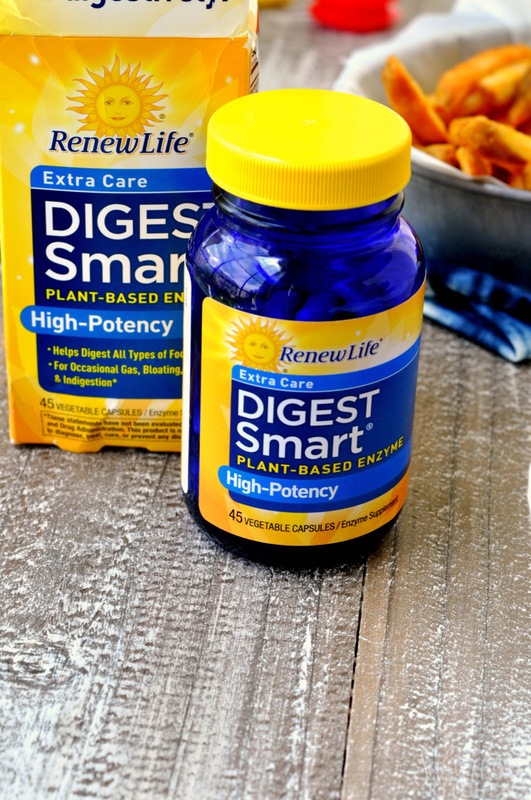 Renew Life® Digest Smart Enzymes, available at most health food, contain 25 plant-based, raw enzymes to provide powerful digestive support when you need it most. 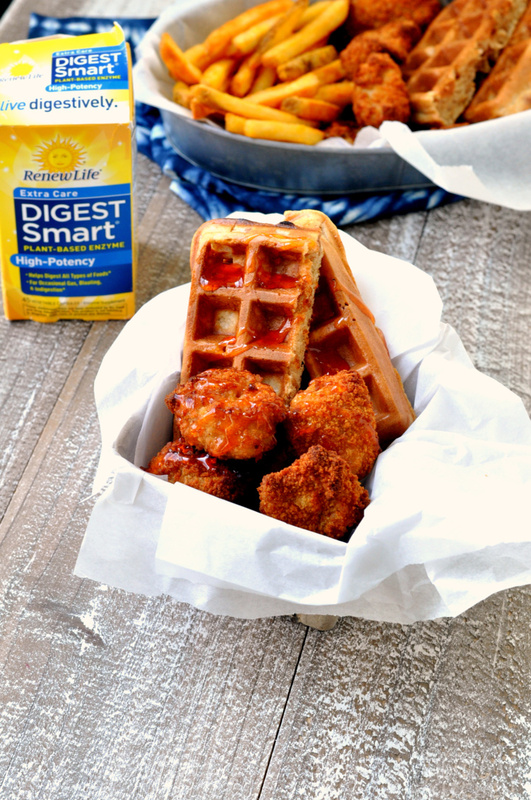 Digest Smart Enzymes make it easy to enjoy the food truck festival without having to worry about the after-effects of all the yummy foods like my favorite hot honey chicken and waffles. In case you don’t have a food truck nearby, I thought I would share with you the recipe for hot honey chicken and waffles. 1. In a small bowl, combine honey and pepper. Cover and let sit for 30 minutes. Remove pepper and discard. 2. Whisk together the eggs, vanilla, buttermilk and melted butter until well blended. In a separate bowl, combine flour, baking powder, baking soda, sugar, salt and cinnamon; stir into the buttermilk mixture. In a separate bowl, beat the egg whites until stiff. Fold into the batter. 3. Preheat waffle iron. Spoon waffle batter into hot waffle iron and cook until lightly browned. Remove and cut in half. 4. 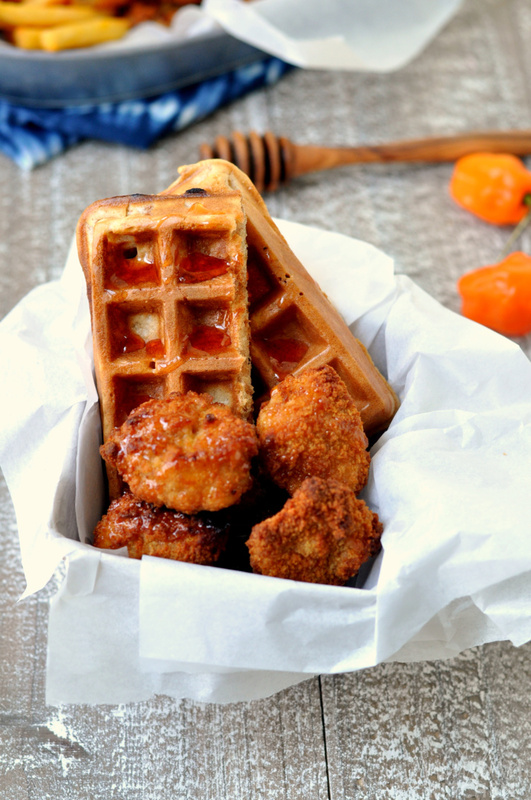 Place cooked popcorn chicken on top of cooked waffles. Drizzle with honey. 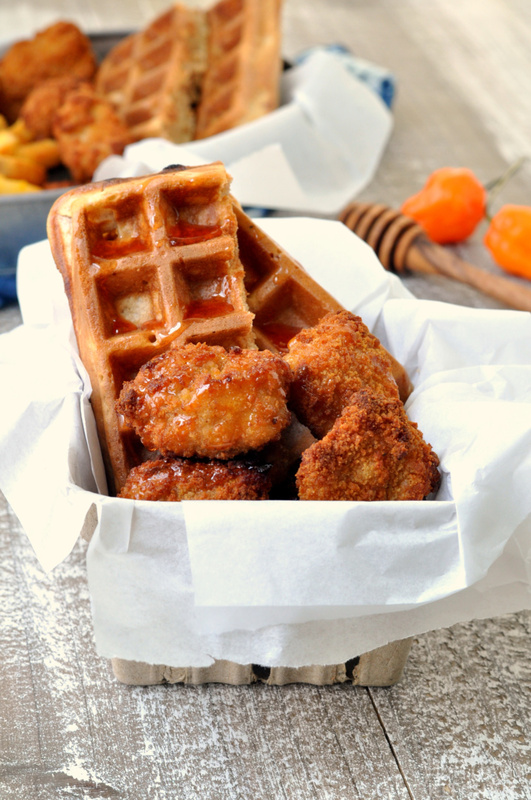 This hot honey chicken and waffles is still my favorite food truck meal to date and I love making it at home too. Of course, I keep my Digest Smart Enzymes handy to take before eating any trigger foods, to avoid any uncomfortable feelings afterwards. You can learn more about Digest Smart Enzymes and the full line of Renew Life® supplements here. This is a sponsored post written by me on behalf of Renew Life Digest Smart Enzymes.